Negotiation Skills Certification: What Does a Certified Negotiator Do? Getting enrolled in a negotiation skills certification program is a wise move if you are one of those who wish to improve their conflict management and negotiation skills. The process of negotiation involves controlling a team to make sure that everyone works based on the tasks given to them individually. Negotiation is known as a process of discussing certain terms that can be agreed by different parties based on principles. It involves negotiating prices, credit terms, delivery of products, volume and any other task that requires discussion. A successful negotiator is someone who has skills in language, empathy, questioning, listening, non-verbal cues, attention and listening. Skills in handling conflicts and leadership abilities should also be honed when taking up a negotiation skills course. Brainmeasures offers a reliable negotiation skills certification program which can help you hone your leadership skills and increase your chances of becoming one of the best leaders in the industry. Enrolling in the negotiation skills certification program offered by Brainmeasures is a wise move since the company employs experts who can teach you everything that you need to know about being a certified negotiator. The company uses reliable and effective learning materials that allow you to receive the best negotiation skills training. Brainmeasures’ negotiation skills certification program also teaches you the things that you can do if you are working with a team consisting of people who are regularly in a heated debate. All these skills can make you become a better negotiator in the future. Before you will receive your negotiation skills certification, Brainmeasures will test your ability to handle conflicts. The company offers an online negotiation skills exam and you have to pass it to get certified. 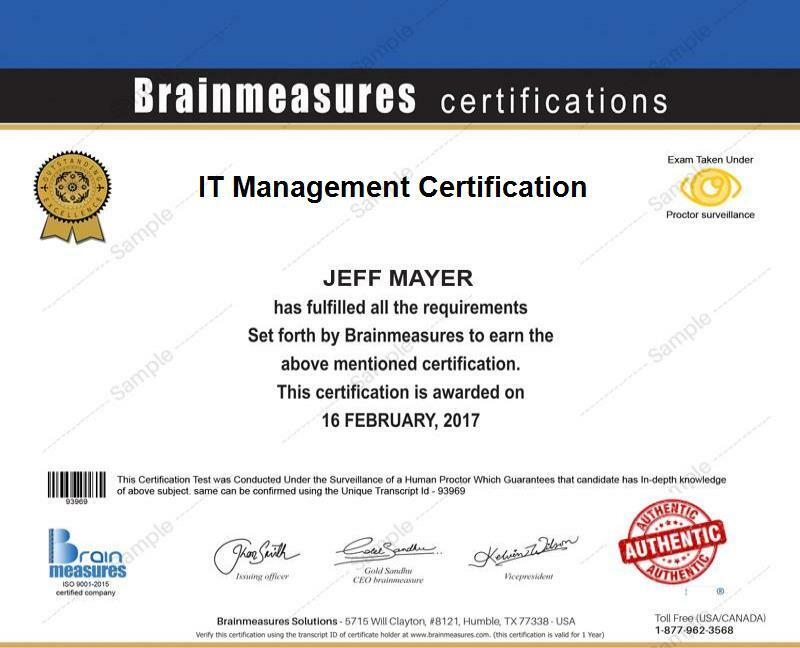 The good thing about this is that Brainmeasures offers a hard copy certificate as soon as you pass the exam. The exam is developed by a team of experts so passing it will show the entire world how good you are as a negotiator. A negotiation skills certification program can benefit anyone who loves to negotiate and lead a team. This is a good course for import and export dealers, contract and business negotiators, global purchasers, international sales and marketing personnel, project managers and team leaders. Anyone can also enroll in this course as long as they are interested in the field since they will never be required to submit any requirements or meet any qualifications. The program will definitely improve their skills in negotiation and in resolving conflicts especially if they are leading a team of experts. Regardless of where you want to practice your negotiation skills, you can still expect your tasks to remain the same. These involve using diplomatic and discussion strategies that are effective in resolving conflicts, bridging differences and finding a solution which is agreeable to all parties. Enrolling in a negotiation skills certification program is a wise move considering the decent amount offered by companies to certified negotiators. Average income for negotiators reaches up to $40,000 to $101,000 annually. You can work as a mediator, arbitrator or conciliator and earn $29 per hour or as a labor relations officer and earn $26 per hour. The good thing about this is that it has been projected that the average income for certified negotiators will grow between twenty to twenty-eight percent in the coming years.